I apologize for my absence recently. I was extraordinarily busy with finals and such, and realize I have been neglecting Ker’s Corner (which makes me sad). However, I am back in the swing of things, and to kick off my return, I wanted to talk about the Lana Del Rey concert I attended last night. I have been a huge fan of Lana’s since 2010, and have been wanting desperately to see her live since then. Unfortunately, I was a slacker and didn’t attend any of her early shows because I assumed she would tour rather frequently. Big mistake, obviously, since I have ever so casually been waiting now for four years… but alas, the day finally arrived. Jimmy Gnecco (from the band Ours) opened for Lana, which I thoroughly enjoyed. I also wondered the whole time what it must have been like to tour with someone who had written a song about you in the past (listen to one of her songs when she was Lizzy Grant about Jimmy Gnecco.. lolol). When Lana finally took the stage, the sea of flower crowns erupted into cheers (to say I saw at least 500 flowers crowns is an understatement… I was not wearing one to clarify). Her performance was on an outdoor stage, which she continuously commented on, saying what a beautiful night it was, which was neat. 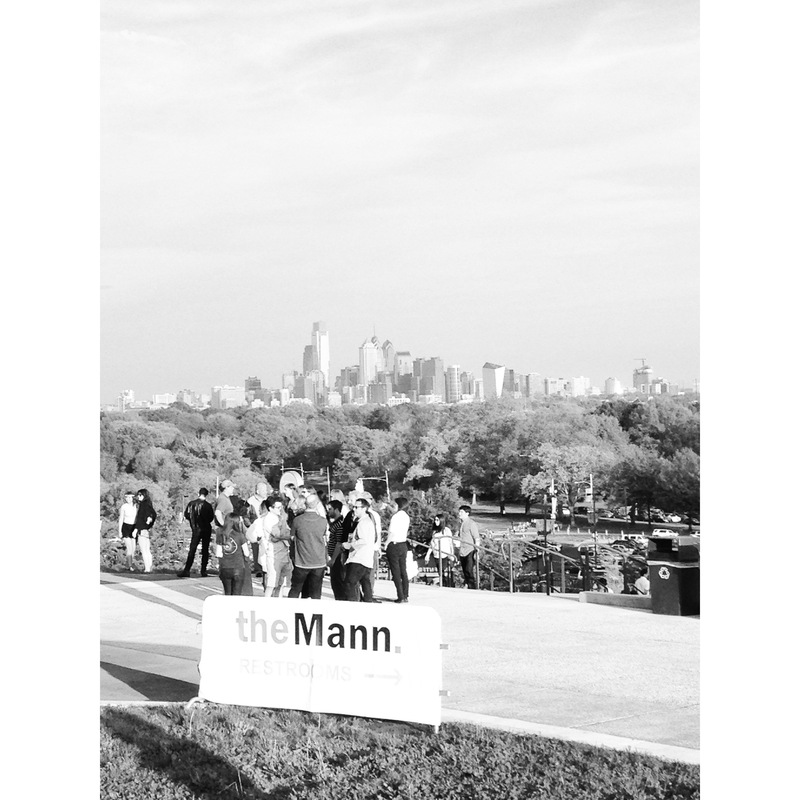 The weather was just as perfect as the performance (that was so cheesy, my gosh). 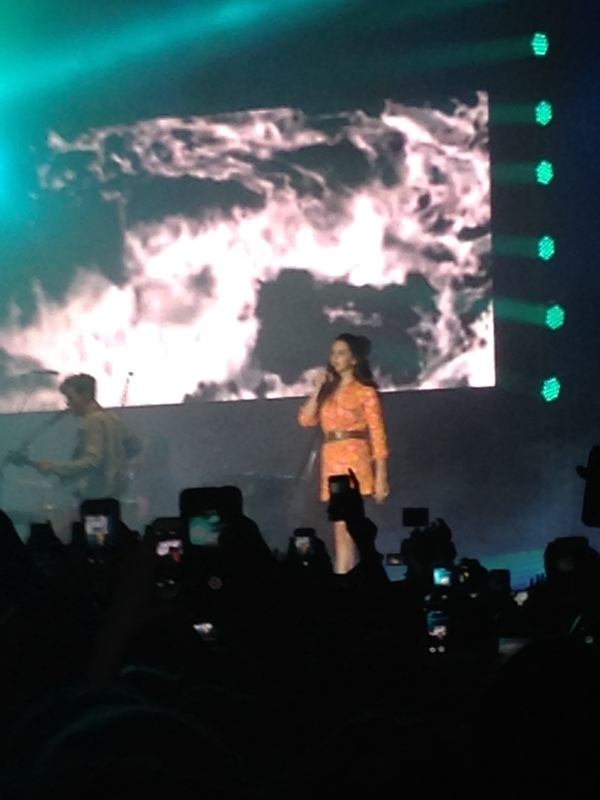 Now to the performance, Lana’s stage presence is a bit awkward, which is what I enjoyed so much about it. Rather than put on a facade, she was entirely authentic. Her voice is even more exceptional in person, as she was allowed to stray from the vocal arrangements in her recordings, adding ornamentation and allowing her true talent to shine through. Her song selections were not what I was expecting, incorporating songs such as “Gods & Monsters” and “Carmen” into the set list. She also played “Young and Beautiful,” which was a pleasant surprise. Only taking breaks to ask for a cigarette and take pictures with fans, she continuously played through her hour-long set. I don’t know what it was about the performance that captivated me in the way it did. Maybe it was the fact that I will now finally be able to say I know for a fact she is better live than her infamous SNL performance from back in the day. Maybe it was her uncomfortable, yet confident presense and demeanor. Other than the occasional person vomming (aka vomiting) next to me, and the somewhat eerie onslaught of images that were projected on the screen behind her, the concert was everything I could have asked for and more. I leave this experience beyond satisfied, pleased, and even more excited for Ultraviolence, which comes out in a few weeks. P.S. I am now in summer mode, so I apologize if my writing is lackluster. Oops. 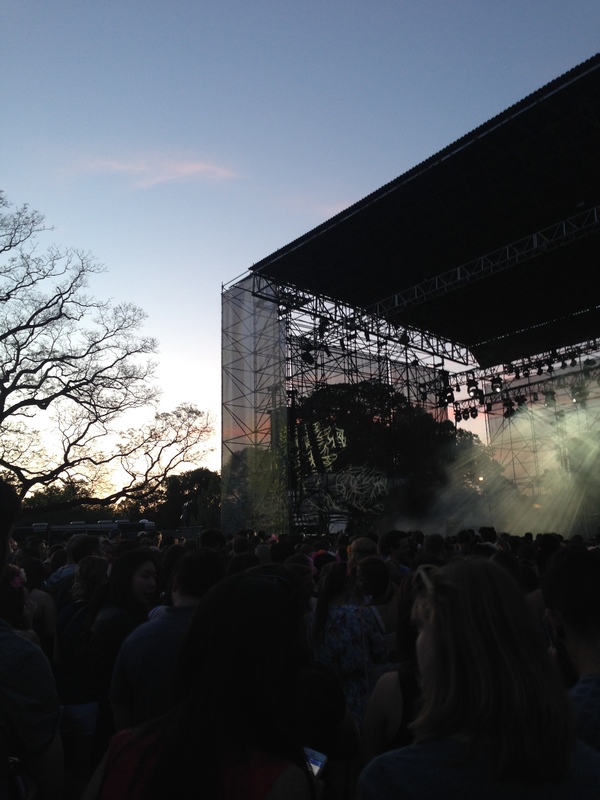 This entry was posted in Uncategorized and tagged Concert, Lana Del Rey, Music, Performance. Bookmark the permalink. She actually followed up that SNL performance with a very good appearance on Letterman. I always thought the hulabaloo around the SNL performance was overblown…as if people were ready to jump all over her at the slightest misstep. I completely agree! She has had so many great live performances, yet people want to constantly bring up that one. I’m glad now I have actually seen her live so I can confirm how talented she really is. This is a nice companion to the Lana Del Rey post I wrote a few weeks ago.